Kirby Smart’s first season as UGA’s head coach is one bowl game away from completion. 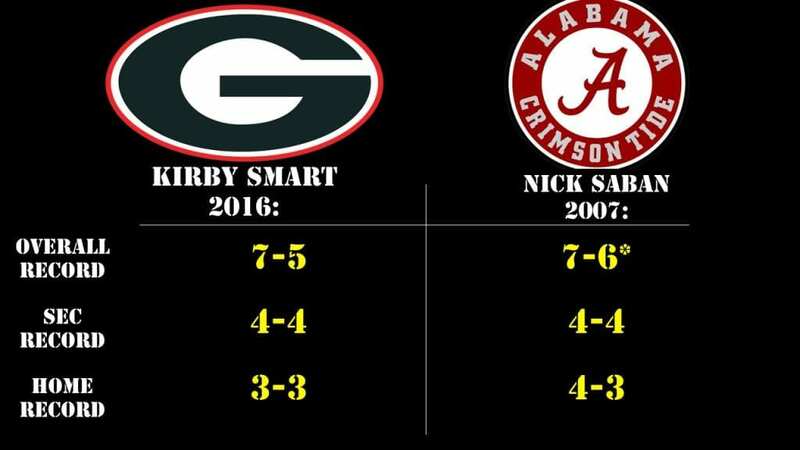 Smart’s first year had some striking similarities to Nick Saban’s first season at Alabama, where Smart was his defensive coordinator from 2008 to 2015. The first-year head coach finished the regular season with a 7-5 record, but how does that stack up against some of UGA’s former coaches in their first seasons? We made a quick quiz to see how much you know about some of college football’s greats in their first years as head coach.